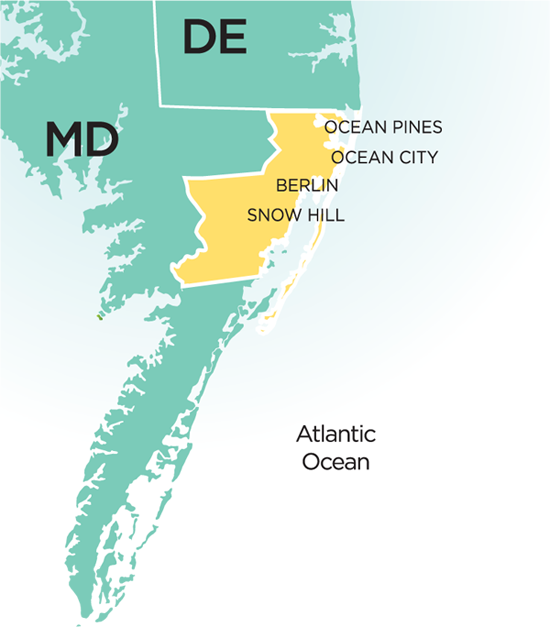 Dover, DE – Chesapeake Utilities Corporation (NYSE: CPK) is committed to bringing more natural gas to the Delmarva Peninsula including areas in Maryland and Virginia’s Eastern Shore. Through the Company’s interstate natural gas transmission pipeline, Eastern Shore Natural Gas Company (ESNG), and its natural gas distribution division, Chesapeake Utilities, the Company aims to expand its service offerings to new areas. Natural gas is safe, clean, reliable, affordable and domestic, and promotes economic development while preserving the environmental integrity of a region. ESNG has initiated a nonbinding Open Season for its Market Hub Services and Pipeline Expansion Project, which would expand the availability of natural gas on the Delmarva Peninsula and the neighboring region. Through this project, ESNG would reach communities and businesses currently not served by clean natural gas, and provide additional natural gas service. Continued efforts to increase the availability of natural gas is also made evident by Chesapeake Utilities, the Company’s natural gas distribution division and its subsidiary, Sandpiper Energy. In 2016, Chesapeake Utilities partnered with a local Cecil County, Maryland business, Warwick Mushroom Farms, to replace the mushroom grower’s supply of fuel oil with clean natural gas, marking the first time the more economical option has been made available in the southern portion of the county. Chesapeake Utilities has committed to further expanding its natural gas service in western Cecil County in 2018. In 2013, Sandpiper Energy began introducing natural gas service in Worcester County, and most recently Ocean City, Maryland. When the Ocean City system is fully converted to natural gas, the net effect will be a reduction in CO2 emissions by over 3,500 tons a year, the equivalent of taking over 600 cars off the road. To date, the company has converted more than 5,800 homes and businesses in the area. For more information about Chesapeake Utilities Corporation, Eastern Shore Natural Gas Company, Chesapeake Utilities, or Sandpiper Energy visit www.chpk.com. Eastern Shore Natural Gas Company, a subsidiary of Chesapeake Utilities Corporation, owns and operates a 455-mile interstate pipeline that transports natural gas from various points in Pennsylvania to customers in Delaware, Maryland and Pennsylvania. For more information, visit www.esng.com. Chesapeake Utilities is an energy company engaged in natural gas distribution. The company safely delivers natural gas to over 75,000 customers on the Delmarva Peninsula through its Delaware and Maryland divisions and its subsidiary, Sandpiper Energy. Chesapeake Utilities is proud to be an active member of the communities where we serve. More information about the company is available at www.chpkgas.com.